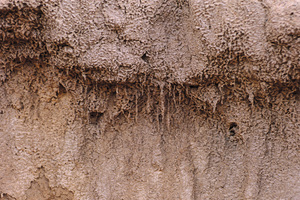 Closeup view of gully soil profile, the result of dryland salinity induced erosion, just west of Charters Towers, Northern QLD. Photographer : Willem van Aken on January 01 1998. To embed this image on your own website, please copy and paste the following code. By downloading this image, you agree to abide by the following terms. Attribution - You must give the original author credit. scienceimage is an image library specialising in science and nature images. It is presented by CSIRO, Australia's major science research organisation. All images are free to download under a Creative Commons license.